Looking to hear this album? Category: Music. Tags: autumn, music, relaxation. 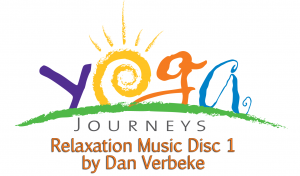 Bring the music of Yoga Journeys home with the beautiful acoustic guitar music of Dan Verbeke. Dan’s music is featured in our Yoga Journeys Episodes! Excellent to listen to during your yoga practice, while studying, or to help you fall asleep. Let this gorgeous CD help you relax and unwind!